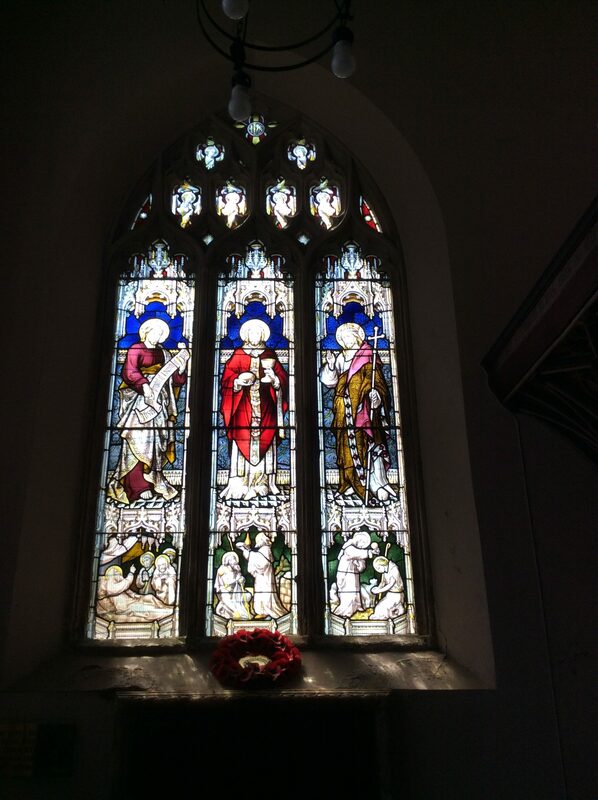 Bradninch, a small rural town in mid Devon, is at first glance perhaps an unusual stop on the American Heritage Trail. 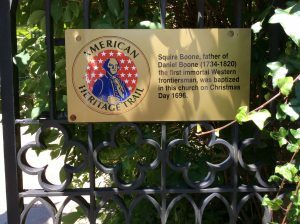 However, two former inhabitants of the town, Squire Boone and 19th century Congressman George West, have played their part in shaping America’s history. And further Anglo-American links were forged in the 20th century when US troops were stationed in the town during the Second World War. 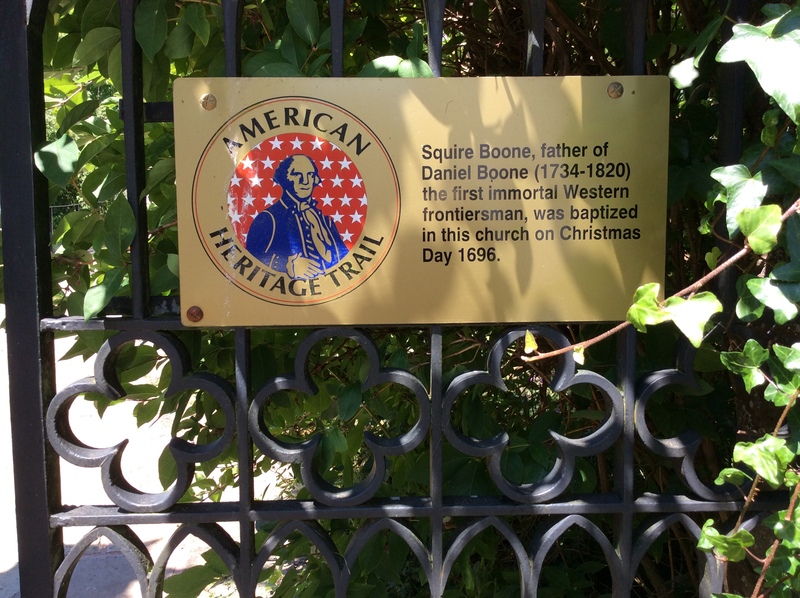 Squire Boone, father of American frontiersman Daniel Boone, was baptised in St Disen’s Church on Christmas Day 1696. He emigrated to Pennsylvania in 1713 to join William Penn’s colony of dissenters. His parents, George and Mary Boone followed in 1717. Squire Boone married Sarah Morgan, whose family were Quakers from Wales, in 1720. Their married life began in Towamencin Township, Pennsylvania but they moved in 1731 to the Oley Valley and it was here that Daniel was born in 1734, the sixth of eleven children. The log cabin in which they lived is still partly preserved as the Daniel Boone Homestead. 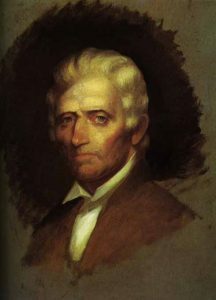 Daniel Boone (1734-1820) is one of America’s earliest and greatest folk heroes. He was a keen huntsman, explorer, pioneer and trail blazer who led the way through the Cumberland Gap in the Appalachian Mountains into the land that is now Kentucky. There he founded Boonesborough, one of the earliest English-speaking settlements on that side of the Appalachians. By the end of the 18th century more than 200,000 European migrants had followed in his path to settle in Kentucky and Virginia. Back in St Disen’s Church is a memorial and flags presented by the descendants of Daniel Boone and the Society of Boonesborough in 1977. 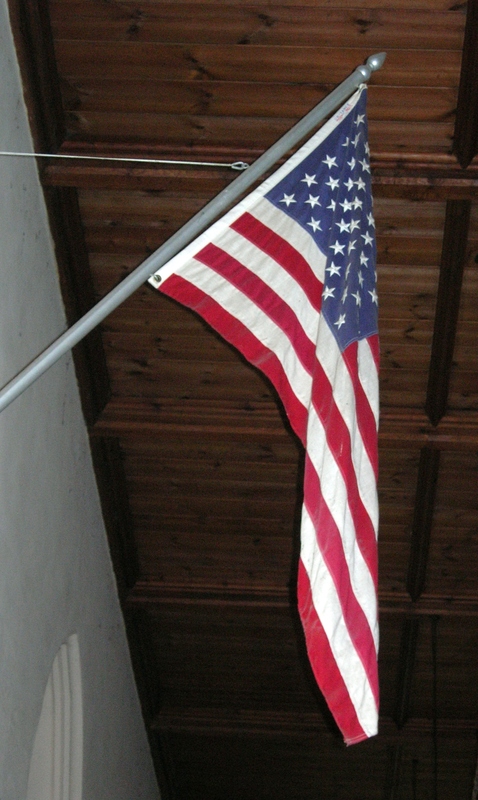 Incidently, next to the flags by the Boone memorial is a larger Stars and Stripes which was flown above the Capitol Building in Washington in 1976 to commemorate the bicentenary of American Independence. A copy of a letter signed by Gerald Ford is framed below it. American congressman George West was born in Bradninch on 17th February 1823. When he was ten or twelve years of age he went to work at one of the Kensham paper mills which were located down on the river Culm on the south side of Bradninch. At the age of fourteen he became an apprentice at Hele Mill, a large paper mill also on the river Culm, not far downstream from Kensham. 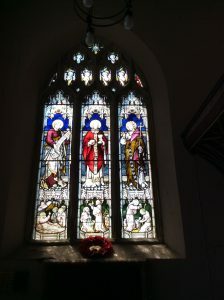 West worked at Hele Mill, living in Bradninch until the mid 1850s when he emigrated to New York state together with his wife and children and also his father and a sister; his mother, Jane had died in 1854 and is buried in the churchyard in Bradninch. By the 1860s the family had settled in Ballston Spa in Saratoga. Here West turned his paper-making skills to good account, manufacturing paper bags, at a time when most bags were still made of cotton. His factory in Rock City Falls was one of the first to use machinery to manufacture bags. West used jute fibre imported from India for his bags which he was able to sell more cheaply than the ‘traditional’ cotton bags with the result that he sold millions and became known as ‘The Paper Bag King’. By 1880 West had 12 paper mills. He served as a member of the New York State Assembly in the 1870s and became president of the First National Bank of Ballston Spa in 1879, an office he held until his death. He was also elected as a Republican to the 47th, 49th and 50th Congresses, holding office from 1881-1883 and again from 1885-1889. West sold his successful paper mill business to the Union Bag and Paper Company in 1899. He died at his home in Ballston Spa in 1902. 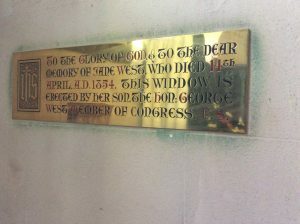 Back in Bradninch, West’s American connections are recorded both on the gravestone which he had erected over his mother’s grave which stands close to the eastern end of the church and also on the plaque adjacent to the window which he donated in the south wall of the Lady Chapel in St Disen’s Church, again in memory of his mother. In 1943 the US Army 955th Field Artillery Battalion was stationed in Bradninch, prior to the D-Day landings. The officers were billeted around the town, including in St Disen’s Hall, but the ordinary troops were located in a Nissen hut camp erected on the cricket pitch. The camp on the cricket pitch, which was subsequently used for Italian prisoners of war, was demolished in 1947. With acknowledgement to P. Nash, T. Starr and M. Leonard.